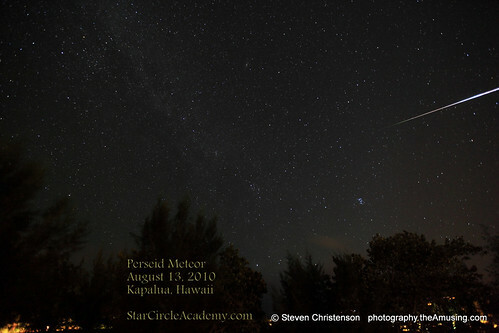 Here is a Perseid Meteor captured adjacent to San Jose, California under a nearly full moon. 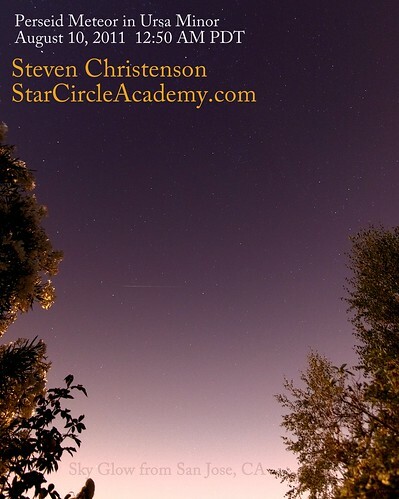 Steven – read this article before I went out to try and capture an Orionid Sat. Night. While I know there are no guarantees, do feel that between this article and a few others you have written, gave me the best chance of success. Then when I actually got one, your article and webinars actually helped me process it! Looking forward to the next meteor shower. Thanks. 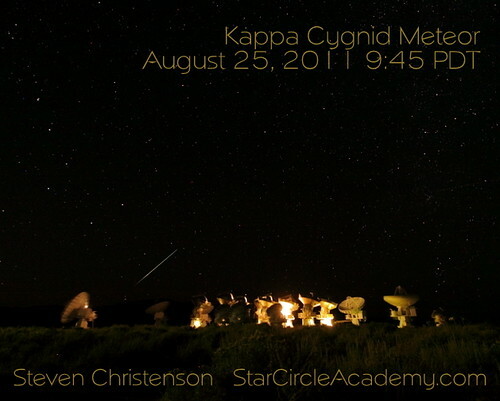 Folks: Before you assume that a streak you captured is a meteor, I humbly suggest you read this. If it helps, you may also be interested in knowing that it took me over 2,000 pictures to get 3 meteors and allegedly I know what I’m doing (though conditions were far from ideal). Awesome article! Thank you for posting this information. Here is a pic I got of the Gemenids early morning on 14-Dec-12M. I failed to verify an accurate focus before I set the intervalometer, but I got some decent meteor shots. 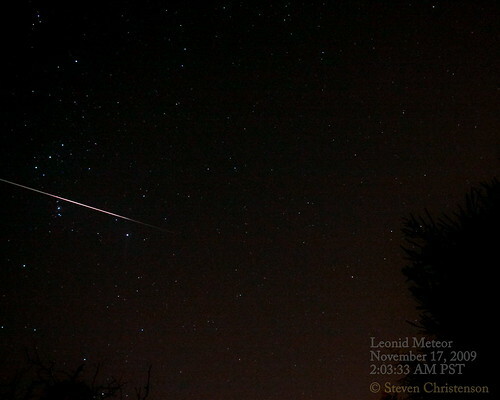 I captured 3 meteors (and several jet trails) out of about 200 pictures @ ISO 800, f3.5, with 18 sec exposures each. I would love to know how Gary Randall was able to stack all those meteor trails together with one background shot! That shot is really nice. Glad to help. I prodded Gary into doing that work… very laborious the way he did it, but here is how in a nutshell. Start with a well shot foreground frame. 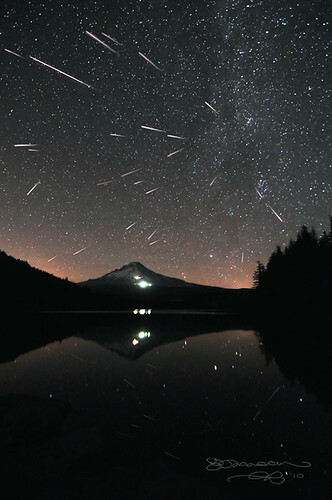 Rotate and align each of the shots with meteors in them so the star patterns overlay one another. Mask off everything except the meteor path from each meteor frame. And put all the meteor layers in “lighten” mode. I explained another technique at my recent Geminid Meteor hunting event(s).